BRAND NEW!! Kids love our Safari Jungle Bus so much we decided to buy another new one. Hop aboard our ever popular Jungle Bus for your very own tour of fun. 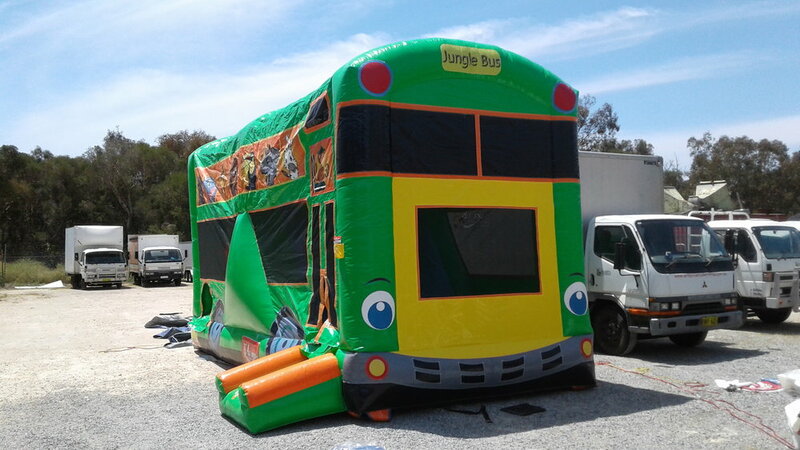 The Jungle Bus has a bouncy castle section, a climbing wall and slide.